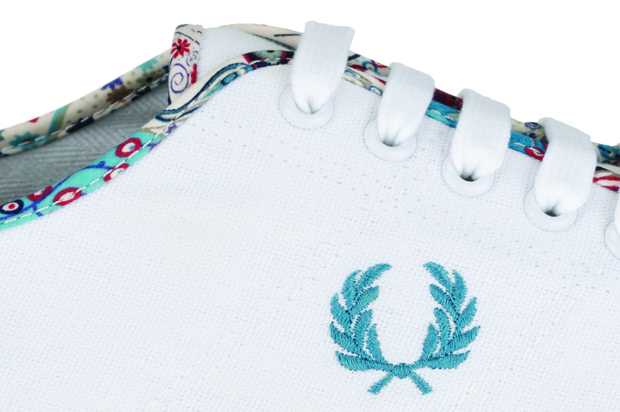 Last week I showed you the garms from the Fred Perry Blank Canvas collection for Liberty. Now we can have a closer look at the footwear that comes as part of the collection. 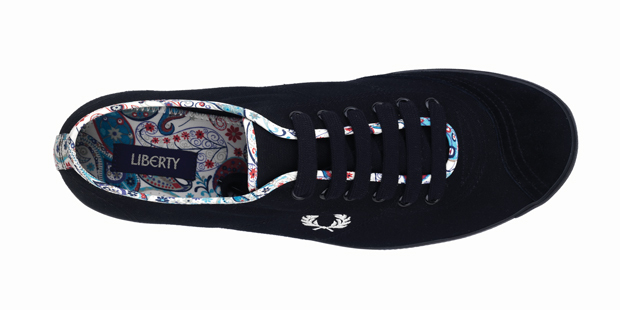 Fred Perry have taken one of their most iconic plimsoles, the Table Tennis Lace Up, and dashed some Liberty trims on it to create two uniquely British shoes. 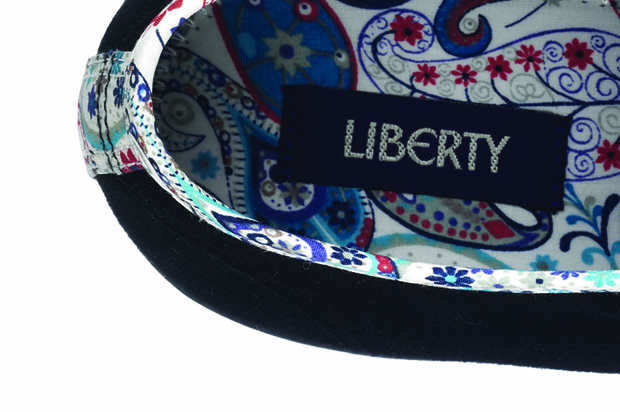 Both shoes feature Liberty’s classic ‘Mark’ print, as featured on half of the clothing in the collection. These are a nice light shoe for the Summer and possibly one of the most collectable plimsoles that I know of. I never thought I’d write about a collectable plimsole, but here it is! You can get your hands on a pair of these from Liberty for £60.